This one day course is aimed at PhD students who have little to no experience of working with general audiences. Do you want to explore ways of sharing your research with many different audiences? Whether it’s public talks, writing in our blog, running art / science collaborations, doing some stand-up comedy or simply standing on a box in a street corner, this session will help you get started. Do you want to involve the public in your research? The session will also look at how different audiences can help you carry out your research through citizen science or research in schools projects. Finally find out how doing all this can help with career progression alongside information on funding available for you to turn your public engagement ideas into reality. In the morning there will be ideas aplenty for what you can do with the public, based on what other SEPnet physicists have done in the past. In the afternoon we are offering hands-on sessions from professional physics communicators on writing about your research for blogs and articles, and talking about your research in an informal setting. Who: This is for postgraduate and postdoctoral researchers from the SEPnet region with research interests in this year’s conference topics. A limited number of places are available to early stage researchers beyond the region. When: 30-31 March 2017. Arrival in the evening on 29 March 2017. Where: Building 58, Murray Lecture Theatre Complex, Highfield Campus, University of Southampton SO17 1BJ. Free to attend. Single en suite accomodation at the Glen Ayre Complex. Travel expenses to and from the venue can be claimed through SEPnet. Abstract deadline 16 December 2016: Please email your submissions to hector.corte [at] npl.co.uk using the template here. Once your abstract has been accepted you will be notified by the conference organiser to register for this conference. This workshop contributes 12 hours towards physics skills training. Registration: The deadline to register is 28 February 2017. Register here. What: There are two parallel research conferences proposed and organised by students wanting to advance their research and extend their collaborations. The conferences include talks by invited speakers and students as well as poster and recreational sessions. The conference will be focused on sharing the different functional scanning probe microscopy techniques that PhD students use in their day-to-day. Because scanning probe microscopy is becoming a standard tool in many materials laboratories, it has seen a huge increase in the number of available techniques, with almost no time for training of new users. Our aim is that each PhD student will be able to share their experience and at the same time will be able to learn from others. The objective is that every student attending the conference will learn at least one new technique relevant for their work. The main topics will be general applications of atomic force microscopy (AFM), magnetic force microscopy, Kelvin microscopy, nanolithography, scanning tunneling microscopy, electrochemical AFM, force spectroscopy, and thermal AFM. Our aim is to transfer knowledge between users of the different techniques in order to make students aware of the available tools they can use in their research. If your research involves scanning probe microscopy, then you are welcome to submit an abstract (~300 words) describing your work. Please indicate your preference for an oral presentation (15 minutes) or a poster (A1 size). Travel and accommodation expenses are fully covered by SEPnet and there is no registration fee. Please email your submissions to hector.corte [at] npl.co.uk using the template here. Abstract deadline 30 November 2016: Submit your abstract here. Once your abstract has been accepted you will be notified by the conference organiser to register for this conference. Astrophysics PhD students commonly start work at a particular waveband of the electromagnetic spectrum, sometimes without any prior knowledge of how their work fits into the ‘bigger picture’. By introducing attendees to a broad collection of astrophysical research topics at multiple wavelengths, this conference aims to create a foundation to the wider context of students’ research. This conference will feature seven sessions across the electromagnetic spectrum on: radio; infrared; optical; ultraviolet; X-ray; gamma ray and cosmology/big data. We encourage abstract applications from PhD students and post-doctoral researchers for oral and poster presentations on any of the aforementioned topics. Presentations should encompass how you use this topic in your astronomy-based research. To submit your abstract, please go to https://sites.google.com/site/broadbandlook/home and fill out the form under ‘Abstract Submission for Students’. Successful applicants will be notified by early January, who must then register for the conference via the registration link included above. 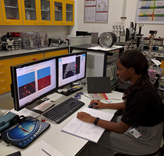 Who: This course is for 1st and 2nd Year Physics postgraduate researchers working in experimental condensed matter physics, and theorists wanting to learn what experimenters can do! When: Sunday, 5 March to Tuesday, 7 March 2017. Arrival 12:30 on Sunday, 5 March. Where: Old Thorns Manor Hotel, Liphook, Hampshire, GU30 7PE. All meals and accommodation have been booked and pre-paid by SEPnet. Travel expenses to and from the venue can be claimed through SEPnet. A shuttle taxi service will be provided from Liphook station to Old Thorns on Monday morning and Tuesday evening. What: A 3-day residential workshop that describes the background science, the methodology, the capability and some dos and don’ts of a range of common spectroscopy, microscopy and characterisation techniques. Optical spectroscopies. A discussion of the basics of optical spectroscopy, spectrometers and spectrographs will be followed by examples of their use in characterising materials by photoluminescence, Raman spectroscopy, absorption spectroscopy, etc. Nuclear magnetic resonance. An introduction to how physicists use NMR to measure molecular dynamics and microstructure. Electron and atomic force microscopies and surface analysis techniques. These methods enable the imaging of (i) the topography of materials surfaces, (ii) the microstructure of a material, (iii) the defects, such as dislocations, within a material and (iv) chemical analysis. Two sessions explore how these goals are achieved. This workshop contributes 16 hours towards physics skills training. GRADnet Winter School – Please Register today. This 3-day residential school will focus on the skills required for effective leadership and team-working. The core activity will centre around a multi-media case simulation of the ill-fated Columbia Space Shuttle mission. In this mission, NASA engineers and leaders sought to understand the nature and threat associated with a technical problem that occurred on launch. Over the course of the mission, they analysed the damage, assessed the risks, and decided what to do. Leadership, organisational culture, communication, personality characteristics, formal systems and job positions are amongst many complex issues that affected the course of the decision-making process. Workshop participants work in teams to analyse the simulation, using materials supplied by NASA. Each team takes the role of one of the key NASA managers or engineers, initially experiencing only those events that that person had at the time of the mission. This adds a rich dimension to the case experience as participants recognise how perceptions of the same event can vary. To see what happened at the last Winter School look here. This is a free event and all reasonable travel expenses are covered by SEPnet. Log on to the VRE and register here. Registration deadline 13 January 2017. 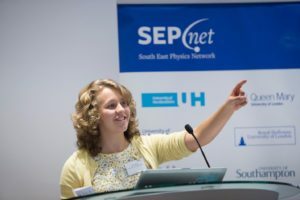 SEPnet is seeking 8-12 week placement projects in industry or research in areas such as data analysis, mathematic modelling, product design and testing or science communication. The scheme is aimed at any organisations interested in recruiting physics graduates or who can offer valuable business experience including large companies, SMEs, start-ups, research institutions, charities and NGOs. • Some funding available for SMEs. Employers who participate in the scheme include AWE, BAE Systems, CCFE, Good Energy, Leonardo, Met Office, NPL, QinetiQ, STFC and many SMEs. Queen Mary University of London launches Research in Schools report. There is a growing number of project s across the UK giving the opportunity for school students to run their own research projects. This has led to the launch of the Institute for Research in Schools in 2016. Ever wondered how the projects come together? Are you a researcher or teacher and thought about running such a project? Research in Schools projects over the last two years. Through this time they have come across different challenges in setting up and running said projects. In this report SEPnet / Ogden Outreach Officer Dr Martin Archer looks back and highlights what has worked and what didn’t come together from these projects. These along with the report’s conclusions and recommendations make it essential reading for those looking to set-up similar projects. The report highlights how Research in Schools projects can have positive impacts on both students and teachers but states how structure and support from universities were important to their success. Download the Main Report here. 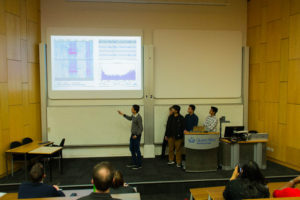 SEPnet would like to thank QMUL’s Centre for Public Engagement for supporting the running of the Cosmic Ray Muon Project in 2015/16 through a Large Award and STFC for awarding a Public Engagement Small Award to purchase additional muon detectors enabling QMUL to take the cosmic ray muon project to five schools in 2016/17. SEPnet Outreach continues to encourage and support its partners to develop Research in Schools projects as part of its Schools programme. SEPnet also continues to participate in CERN@School and works closely with the Institute for Research in Schools. 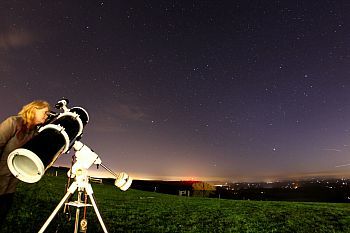 Shake off your January blues and join SEPnet in looking up at the night sky! Events are taking place all over the South East; take a look and find out where your closest one is! Some of the activities taking place at these events are ticketed, so hurry up and book. 17:30 – 21:00, Southampton University. Tickets are free, but some activities need to be booked here. Activities that don’t need tickets include Play Doh Planets and the launch of the Planeterella! The PHYSOC Astrosoc and SAS, our local astronomical society, will be set up in the foyer and outside at foyer level – weather permitting. They will have their telescopes with them and will be happy to answer any questions you have about astronomy or joining a local society. 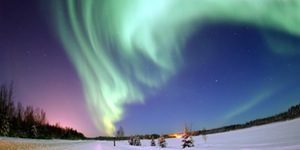 There will also be talks by Astronomy & Solar Physics Academics covering topics such as: Aurora Adventure, Supernova Sensational and Extreme Physics. Planetarium shows and tours of the Roof Observatory require tickets. These are released at 10:00 on Wednesday 4 January. 18:30 – 21:00, Universty of Sussex. No need to book online, simply turn up! Full details of the night’s activities can be found here. 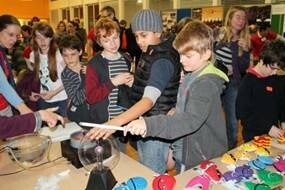 During the evening, there will be a range of activities suitable for all ages, from primary school children to adults. Activities include planetarium shows, The Ensonglopedia of Science a fun new musical theatre comedy show all about science, Ask An Astronomer, explore Nuclear Fusion with Lego and talks including Exploring the Dark Sector, and a panel discussion on The future of Astronomy with world renown science author, Dr John Gribbin & other University of Sussex Researchers. This is a drop-in festival style event. No booking is required. 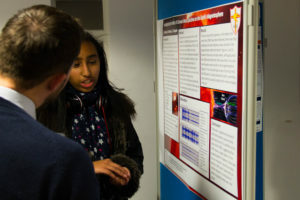 Visit the University Of Oxford to try your hand at AstroCrafts (age 6+), listen to bite-sized flash talks on a wide range of fascinating topics covering our latest research, present a space weather broadcast or talk to researchers about their work. At the event there will also be opportunities to observe the night sky with a range of telescopes, tour the sky in an inflatable planetarium and more. 18:00 – 21:30, Portsmouth Historic Dockyard. 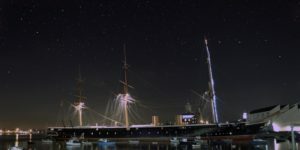 Join astrophysicists and cosmologists from the University of Portsmouth’s Institute of Cosmology and Gravitation, navigation experts from Portsmouth Historic Dockyard, amateur astronomers from Hampshire Astronomical Group, and many more at this BBC Stargazing Live partner event, exploring navigation through space and time. During the event you will have the opportunity to take a look through a telescope, learn how sailors navigate by the stars, and find out more about our Universe. Short talks will be given throughout the night on topics within stargazing, navigation, cosmology and space. There will be a range of activities to suit all ages, with plenty to do and see whether it’s clear or cloudy!